Even if your elderly parent isn’t quite ready for an assisted living residency, they may still need help to stay physically safe. As people reach their senior years, their bones become brittle and they have more trouble maintaining their balance. While this doesn’t mean they shouldn’t be left to live in their homes, it does mean it’s necessary to take extra safety precautions. These three tips can help prevent falls and you keep your elderly loved one safer in their daily lives. 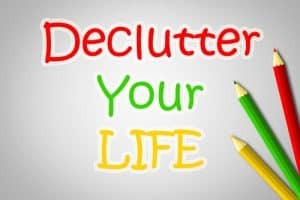 Often, people create clutter in their homes over time. Newspapers and magazines may pile up on staircases. You may leave clothes heaped in a pile. Kitchen counters accumulate appliances and cooking utensils. While these things might not seem like a hazard, especially if they have been gathering over a long period of time, they do create trip and fall risks. In fact, such messes are often the reason that seniors slip and fall in their homes. You can reduce the risks that your elderly loved one will fall by helping to declutter. You can explain to them that they’ll be less likely to experience a sprained muscle or broken bone if they can keep their home free of messes. As previously mentioned, seniors experience more problems with maintaining their balance. This is partly because their bones are frail and brittle, getting weaker with age. For this reason, it may be a good idea to go through the home. Look for areas where the individual may need more support. 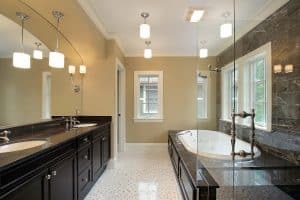 It can be helpful to install handrails in the shower, near the toilet, and in some areas of the kitchen to help prevent falls. Check the railings that accompany staircases in and outside of the home as well. You should even equip long hallways with handrails or grab bars. This will help the elderly individual maintain his or her footing. Another problem that affects people as they age is failing eyesight. In fact, an inability to see well results in many elderly falls each year. Improving the lighting in and around the home may be helpful. For this, you should consult an electrician to find out about installing brighter bulbs. Just be sure the increased wattage won’t create a fire hazard. Installing brighter bulbs may be easier with LED bulbs. They can provide a better quality of light without burning as hot as traditional incandescent light bulbs. When your elderly loved one can see better, he or she will be better able to move about their home without injuring themselves. At some point, you may have to rely on an assisted living community to care for your elderly loved one. In the meantime, it may be enough to make sure their home is safe by reducing the risks of a slip, trip, or fall. Making these minor changes to prevent falls in the home can help you keep your loved one safe and at home, where they feel comfortable and independent. Teaching your loved one to live more safely will allow them to live happier and healthier for longer.